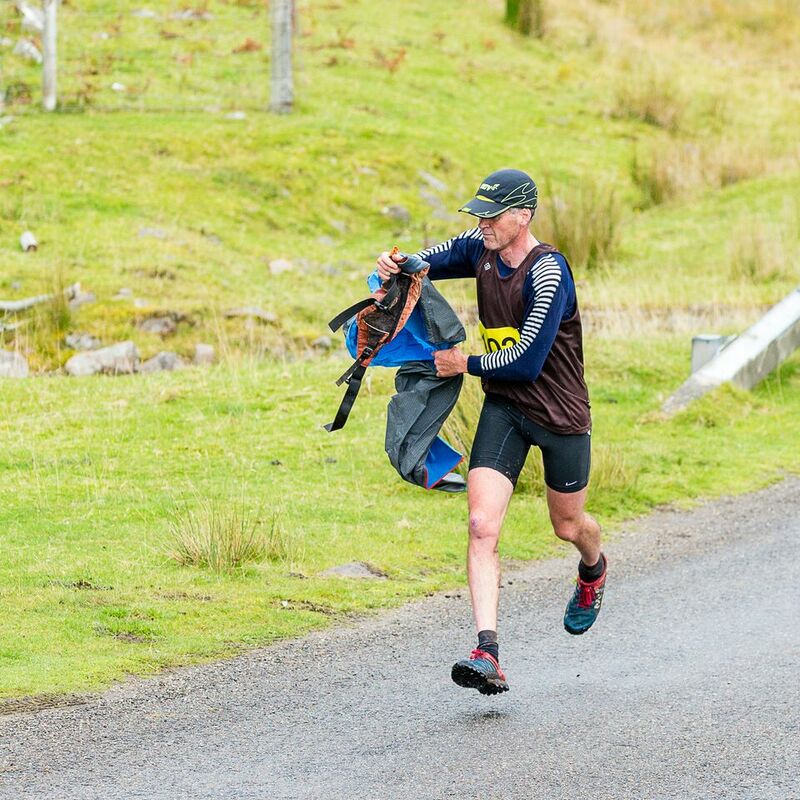 With Typhoon Mangkhut battering the Phillipines and Storm Florence hitting North Carolina it was a worrying time to be running the Applecross Duathlon. Happily the local weather was surprisingly good, with just a moderate headwind affecting the cycling section. All but one of the 123 starters (62 in the Challenge and 61 in the Race) completed the course. One of the outstanding performances was by Hamish Loftus, from Ullapool. Hamish, aged 10, was the youngest competitor but recorded the fastest time by a Junior, 3 hours 6 minutes. At the other end of the age range there was a record 23 entries in the Vintage category. The winners were the husband and wife duo, Angus and Jean Bowman, Lomond Hill Runners, in 2 hours 31 minutes and 2 hours 59 minutes. Jean gained the distinction in June of becoming the first lady over 60 to complete the Celtman extreme ironman. The Men’s winner was, once again, Ewan Taylor, from Fife, in a time of 1 hour 48 minutes, seven minutes slower than his course record. 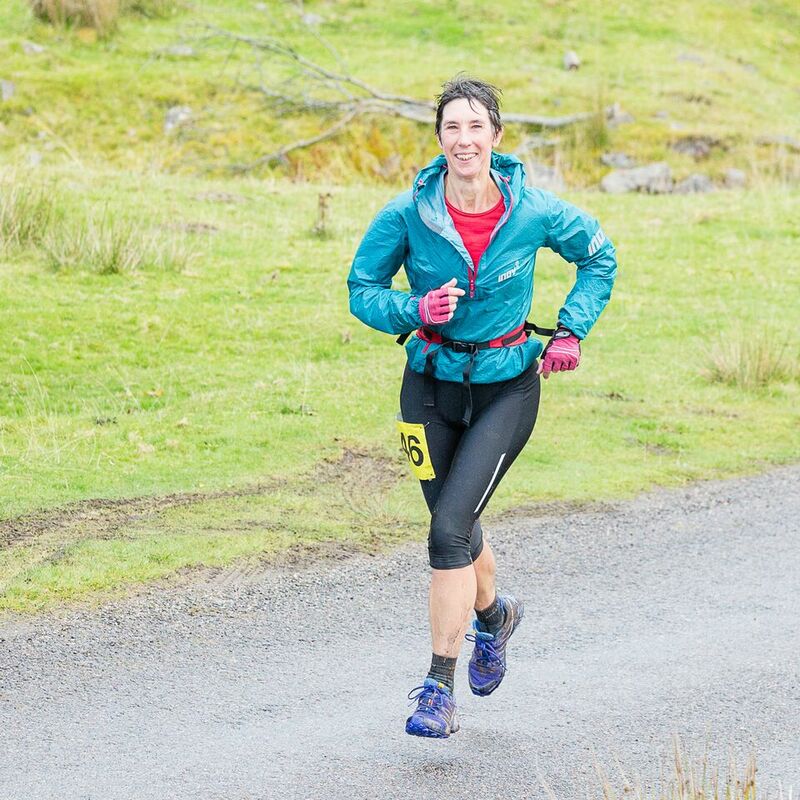 Claire Gordon, HBT, completed a hat-trick of Women’s Open wins, in 2 hours 10 minutes. The Veteran winners were Robert Bacon, Deeside Thistle, 2 hours 6 minutes, and Sara Henry, Deeside Runners, 2 hours 31 minutes. The Super Veteran winners were the same duo as last year, Alec Keith, HBT, 2 hours 6 minutes, and Katy Boocock, Highland Hill Runners, 2 hours 34 minutes. Once again I am indebted to the local community and, particularly, the Community Hall committee. Their support makes it possible for the event to run on a small budget with the entry fee at just £6. Jack Marris who runs the Applecross Photo Gallery, www.applecrossgallery.com, donated nearly £200 worth of prizes. I am also most grateful to the many volunteers, including 5 members of the Torridon Mountain Rescue Team, who helped on the day. Their friendly welcome is commented on by many competitors. Special thanks are due to Annie MacDonald. Annie succeeded in photographing all the competitors at Transition and recording their split times. Annie’s photos will be on Flickr sometime next week – the link is on the Gallery page of the website. Entries for next year will open, as usual on the first Saturday in June. Places in the event and in the local accommodation usually fill up rapidly. 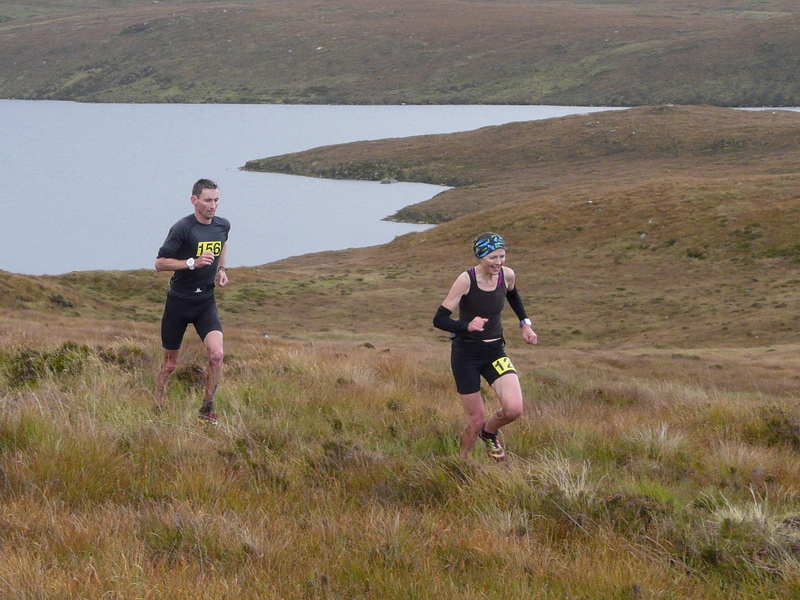 The days leading up to the Duathlon featured horrendous weather. The Transition area was particularly depressing with deep mud, standing water and large quantities of cow poo! Mercifully, Saturday brought improvement with just brief showers and a light wind, from the north, making for good times. There was only one new record but a notable one. Hugh Morrow, aged 15, finished 12th out of 87 in the race, with a time of 1.57.22, improving the junior record by nearly 20 minutes! The Morrows are great supporters of the event. Twin sister, Beth, 2.12.35, was also well inside the previous record and, remarkably for a junior she was 3rd in the Ladies Open (unfortunately her “Junior” category caused me to overlook her as a candidate for a prize in the Open). Not to be outdone, mum, Jill, 2.10.01, won the Veteran prize even though she is now a “Super Veteran”. Another lady who defies the years is Claire Gordon. Claire is now a Veteran but continued her dominance of the Ladies Open, winning for the fourth time in five years, with a time of 1.58.51. The Mens’ Open was won for the third time by Ewan Taylor in 1.42.25, just one minute 24 seconds outside his own course record. The first Men’s Veteran, making his debut in the event, was Mark Harris, 1.50.41. The Men’s Super Veteran winner was Alec Keith, 1.52.26. Alec is another “evergreen”. 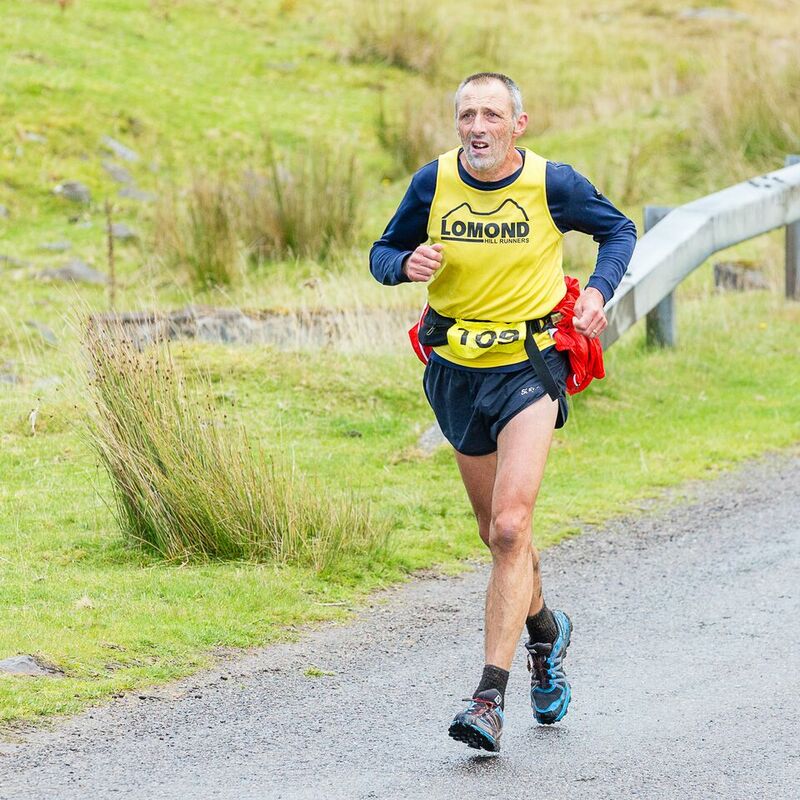 In August he won the Open category in the Great Wilderness Challenge, setting a new record for over 50’s. The first Ladies Super Veteran, also competing for the first time, was Katie Boocock, 2.19.49. The Vintage, over 60, category was well supported this year. The winner was another debutant, Angus Bowman, 2.18.27, just 5 minutes outside Ray Wilby’s superb record. 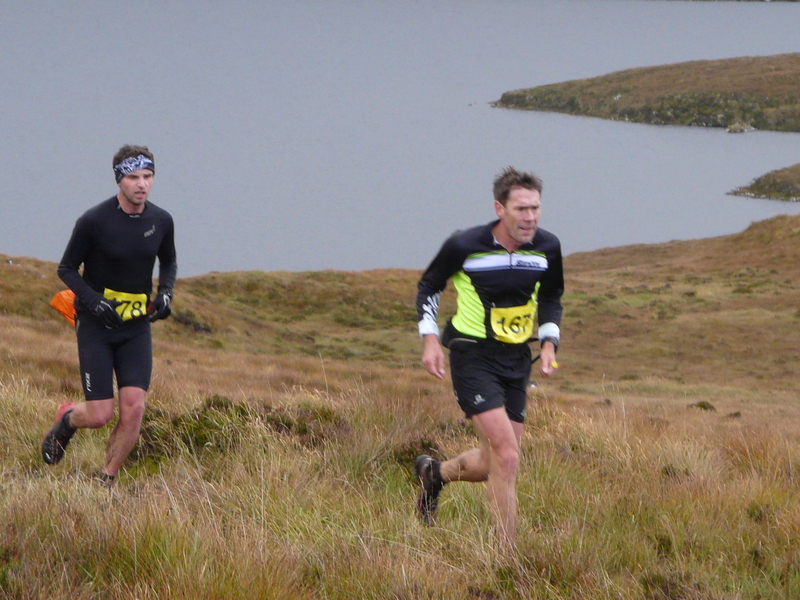 The Challenge, with 47 entrants, saw more outstanding age related performances. Zoe Sharpe, who is just 11, managed 2.45.41, whilst, at the other end of the age spectrum, John McNally, who is 80, achieved a truly incredible 3.20.06. 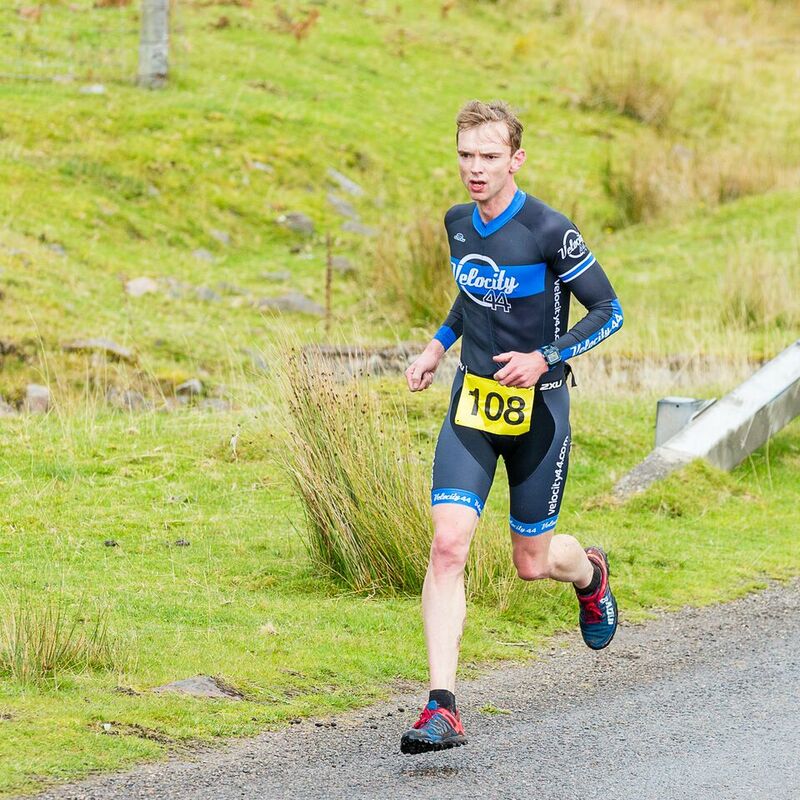 John has been a great supporter of the Applecross Duathlon but his knees dictate that this will be his last competitive appearance. He was, without doubt, the appropriate recipient of the Hornsby Trophy for the outstanding contribution to the day. 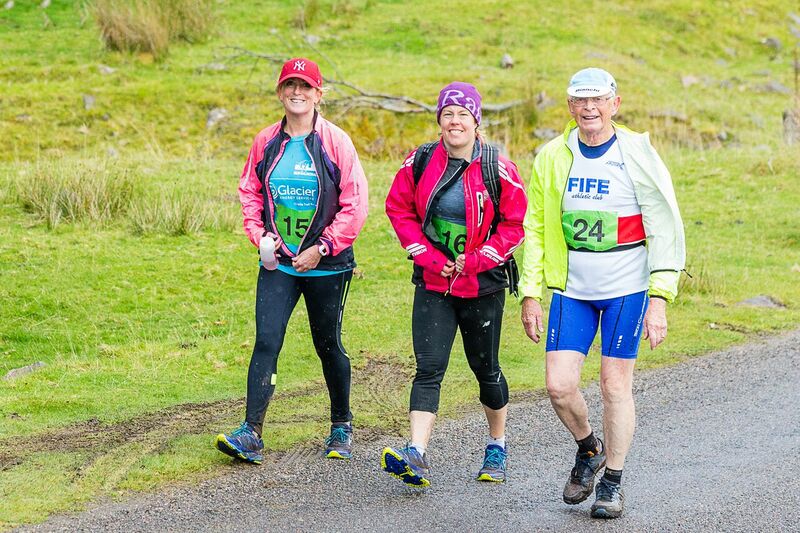 And a big thanks from me to the forty plus folk who contributed to, what many commented, was the “best Applecross Duathlon yet”.